The Bexhill Jobs & Apprenticeships Fair is coming! 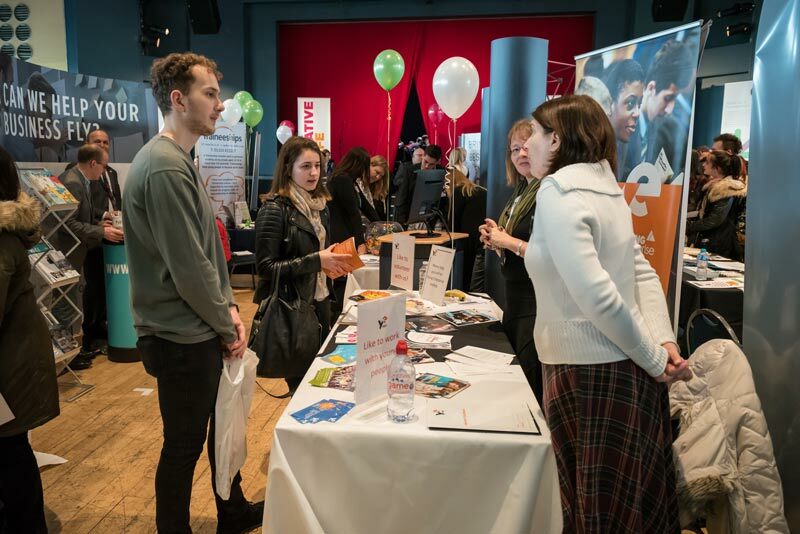 It is now less than three weeks until the De La Warr Pavilion hosts the 4th Annual Bexhill Jobs and Apprenticeships Fair. Last Friday Bexhill MP, Huw Merriman, and Jay Wootten, Events & Community Relations Manager, Hastings Direct joined forces to launch the popular local event to Bexhill College students. From the stage of Izzard Theatre at the college, Huw told students that this year’s Jobs Fair is looking to be the best yet. It will provide a fantastic opportunity for the whole community to meet a wide range of local and national employers as well as training providers and business start-up advisors. Jay Wootten of Hastings Direct encouraged the students to think about how they could get the most out of their visit to the Jobs Fair by thinking in advance of how to begin conversations with employers and what questions to ask of them. He got them to think about their strengths and to practise introducing themselves to each other by saying something positive about themselves.